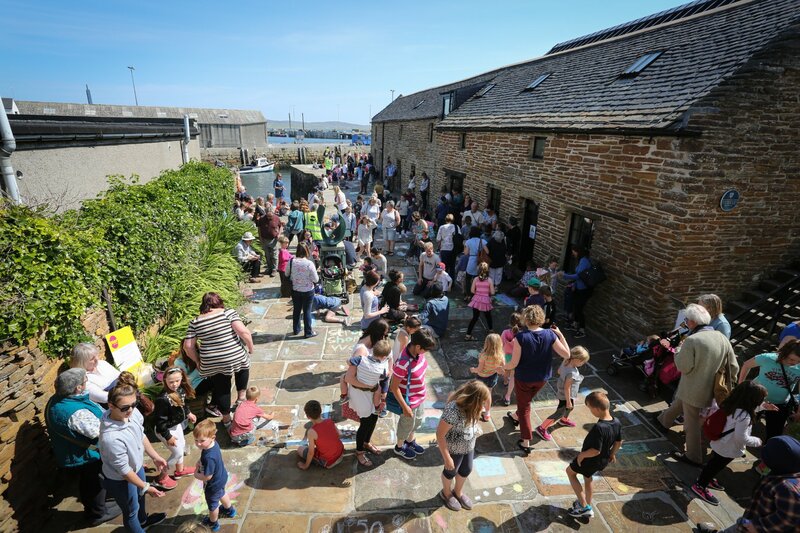 Stromness Shopping Week is the longest running festival in Orkney. 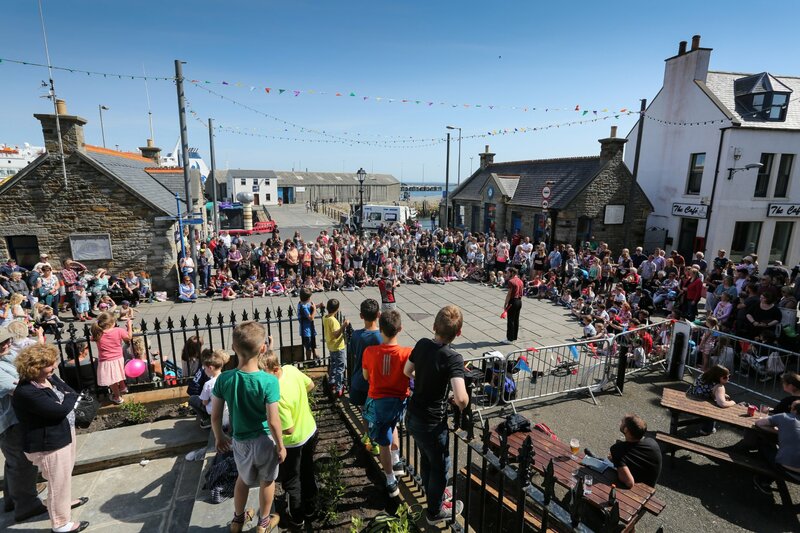 The week provides a wide range of street entertainment that thrills, excites and engages both children and adults alike. Shopping Week’s queen and her attendants for the week are nominated by Stromness Academy and a page boy and flower girl will be nominated by Stromness Primary School. There are regular favourites such as the Yard of Ale, the Beer Race, Holms Swim, and the Shopping Week 10k race. The popular Shopping Week hack usually takes place on the opening Sunday at 12:30. Visitors can enjoy Flower Club and WRI displays in Stromness Community Centre. The full programme also includes events for children such as sports, a round the town race, workshops, pavement art, etc. The award winning Stromness Royal British Legion Pipe Band plays throughout the week in various locations, sometimes joined by guest pipe bands. 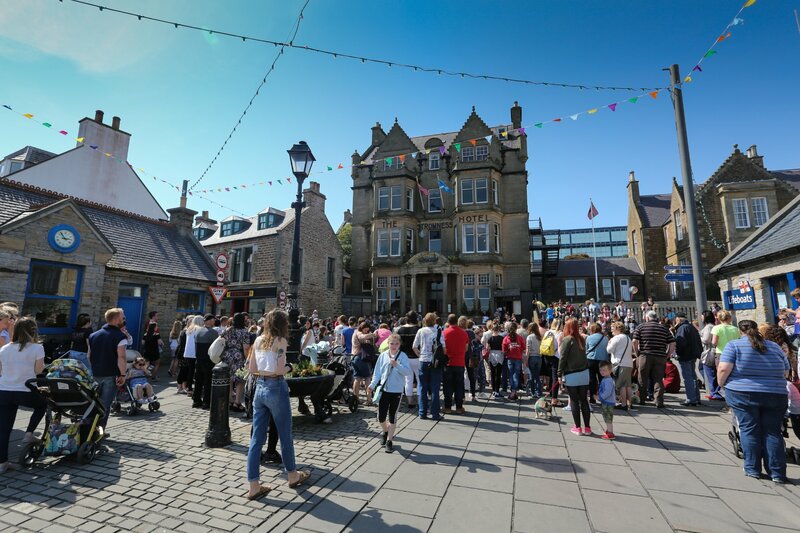 Over the years there have been many guest visitors to Stromness Shopping Week. Regular, and very popular, guests are the Scalloway Jarl Squad. Every year a different band provides entertainment at the pierhead and at indoor and outdoor dances. Shopping Week's resident band plays at various times throughout the week at the pierhead and in local pubs and of course at the open air dance on Saturday night where they play until Shopping Week finally draws to a close at 1am, with the annual fireworks display taking place at 11pm.